Grandmaster Rafael Leitao, one of the leading players in Brazil, has kindly agreed to an interview with Chessdom. Among many of his tournament accomplishments, we shall mention that Rafael was twice World Champion (U-12 in Warsaw, Poland and U-18 in Menorca, Spain) and twice World Vice-Champion (U-10 in San Juan-PUR and U-16 in Guarapuava, Brasil). He was also four-times Brazilian Champion (1996, 1997, 1998, 2004) and eight-times Pan-American Champion (in all youth categories). Nowadays, Rafael is managing a very successful Academia de Xadrez Rafael Leitão. Chessdom: Hello Rafael, can you tell us about your beginnings, what has got you attracted to chess? Rafael Leitao: My father taught me how to play when I was six, and I was immediately attracted to the game. 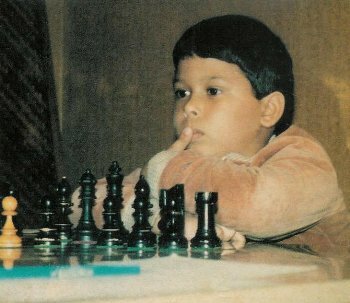 I used to play with my older brother and started reading some chess books from my father´s library. Even though I was born far away from any city with a regular chess activity, I managed to keep a natural chess development. It´s hard to say what attracted me into chess, probably the fact that the game is a perfect match to my inner personality. Chessdom: You have won four Brazilian championships, first one when you were only 17-years old. 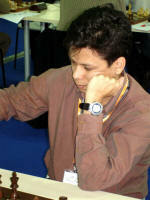 Are you aiming at the record seven titles of GM Jaime Sunye Neto? Rafael Leitao: I am not a very ambitious person, and have not settled this as goal, but it might happen. However, competition is getting tougher, so to achieve this record will be anything but easy. Chessdom: You are seriously involved in teaching and your Chess Academy seems to be doing great. Can you present the Academy and your teaching methods to our readership? 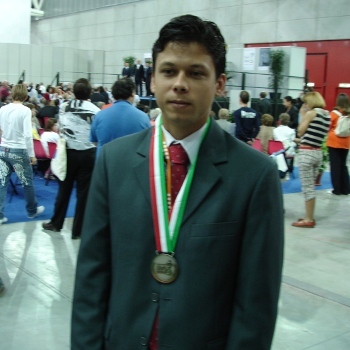 Rafael Leitao: My Chess Academy website is http://www.academiarafaelleitao.com. It was created to help the development of talents in Brazil, since we do not have many good trainers, making it very hard for aspiring players to reach their aims. Of course the Academy is also open to players from other countries. I teach on ICC and also give classes in my city (Americana, state of São Paulo). I work mainly with advanced players (FIDE 2200 or more) and try to show them my views on chess. Above all, I tell them that there is no secrets to becoming a GM, most people can do it, with correct guidance and hard work. Chessdom: How would you best define your chess style? Rafael Leitao: I am a positional intuitive player. Rafael Leitao: Nowadays I am very lazy and don´t work much on my own improvement (hence my horrible opening preparation). I work alone and try to work on my game at least 2-3 hours a day. Sometimes I work more, someday I don´t see chess at all. I don´t use any software apart from what everyone knows: Chessbase and all the main engines. Chessdom: There are many young-and-coming GMs and IMs in Brazil. Can you tell us more about the chess development in Brazil? Are you experiencing expansion? Rafael Leitao: Actually we don´t have young GM´s apart from Alexandr Fier. It is surprising that, even though it is common knowledge that becoming a GM is getting easier and easier, he was the only one to achieve it in almost a 10 year period. We don´t have many talents showing up at the moment, and that is due to lack of proper support and competent trainers. Imagine a country of Brazil´s size with only 7 grandmasters… Hopefully this situation will change in the near future, and I hope that my Academy at least helps in removing cause number 2 of our stagnation. Chessdom: How do you see the current situation in chess world? Rafael Leitao: It was a good thing that Anand become World Champion. He will be fully respected as deserving the title. On a wider perspective, I´m in favour of tournaments like the World Cup and think that the current situation of chess is more or less reasonable. Chessdom: What kind of difficulties are chess professionals facing today? Rafael Leitao: The competition is very tough and the prizes are very low. Last year I spent one month playing in Europe and could see how hard it is to win even second-rate tournaments. It is very difficult to make a living by playing tournaments. Apart from that, I dislike the life of a constant traveler. For a GM of my level it´s necessary to play leagues and give classes. On a brighter side, we should note that most GM´s work with something they love, and anything is better than having a routinely work, at least for me. Chessdom: Which learning method would you suggest to young aspiring players? Rafael Leitao: It really depends on many factors as age, personality and others, so it is hard to give a general advice. But players who learned chess from the computer generation must always be reminded of the importance to study the classics. As Korchnoi noted, the past masters, they too understood the game of chess! Chessdom: You have qualified for the World Cup to be held next month in Khanty-Mansiysk. What are the expectation? How did you do in earlier World Championship cycles? Rafael Leitao: I usually do very well in World Championship cycles. In Las Vegas 1999 I lost on the 3rd round. In New Delhi 2000 I was eliminated in the 4th round, In Tripoli 2004 I lost on the 3rd round and in Khanty-Mansiysk 2005 I was kicked out in the 2nd round. Since I don´t have a high elo, I had to eliminate favourites in all of these competitions, including Lautier, Zhang Zhong, Jakovenko. Chessdom: Thank you for your time. We wish you to continue with fantastic results. Rafael Leitao: You´re welcome. Keep up the good work!